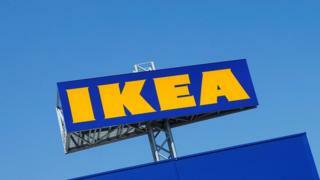 A French mayor has apologised after her April Fool's joke about Swedish furniture giant Ikea coming to town with 4,000 new jobs hit a sour note. The mayor told French media she was sorry that "the sense of humour was not shared by everyone", adding that a new commercial development outside the northern town (population 54,000) would indeed bring 4,000 jobs in the future. She wrote on her Facebook page that the message had been intended to "attract the attention of potential investors, including Ikea" and insisted she had "too much respect" for jobseekers to mock those out of work. But her apology was too late for many. Opposition councillor Mehdi Rahoui told French radio station RTL that the joke "once again shows the mayor's disdain for the people of Beauvais" and said that Ms Cayeux should concentrate on lowering the town's high unemployment rate. Social media users were also unforgiving, with one Twitter user saying: "We will all vote for you in the next election... April Fool's."